What Foods are Terrible for your Mouth? We all love eating sugary foods like chocolate and ice cream, but they are definitely hurting our oral health. While the formula for health teeth includes regular brushing and flossing, we often neglect foods that are known to be healthy for the teeth. More so than neglecting foods that are good for our teeth, we ignore the ones that are bad for our teeth. So what foods are bad for your teeth and why? How can we stop eating them? Check out the list below for some advice on what food to cut out of your diet if you want to have shinier, whiter and healthier teeth. Sticky Foods – these foods stick to the teeth for longer than normal, and be difficult to remove. The longer these foods stick to your teeth, the more time the bacteria has time to break down your enamel. 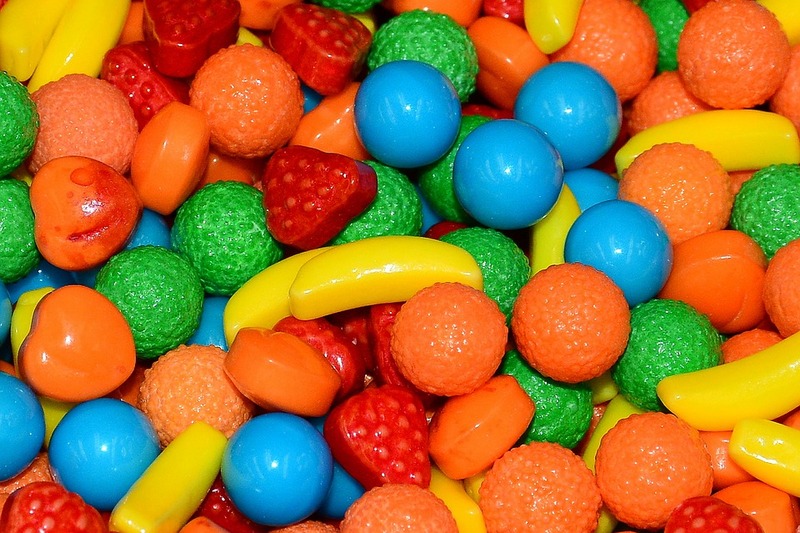 Sugary Foods – just as bad as sticky foods, these sugars play a harmful role in tooth decay. Bacteria form together to become plaque which uses sugar as an energy source to break down your teeth. Acidic Foods – these foods can dissolve tooth enamel and give cavities. Drinks like soda, which are sugary, sticky and acidic are terrible trouble for your teeth. The combination of them is even worse for your teeth. The first, but hardest thing that people can do is to avoid these foods altogether. Though this may be hard for some people, avoiding sugary, sticky and acidic foods is the fastest way to improve your oral health. If you cannot give up these foods, then try increasing the number of times per day that you brush your teeth. Consider chewing gum after meals, and make sure the gum is sugar free, otherwise you could just be doing more damage to your teeth. Flossing will help you get the harder to reach spots where plaque can build up quickly. For any more advice about how to have the best oral health, talk to your local dentist today!